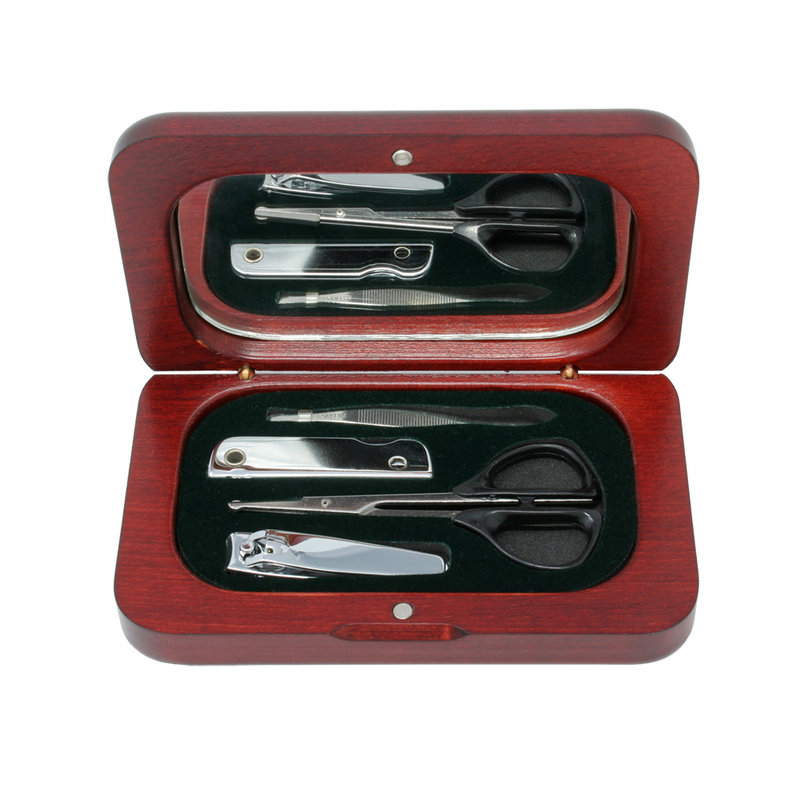 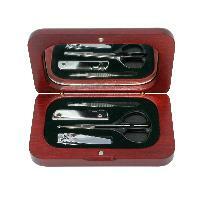 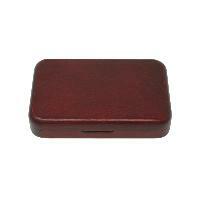 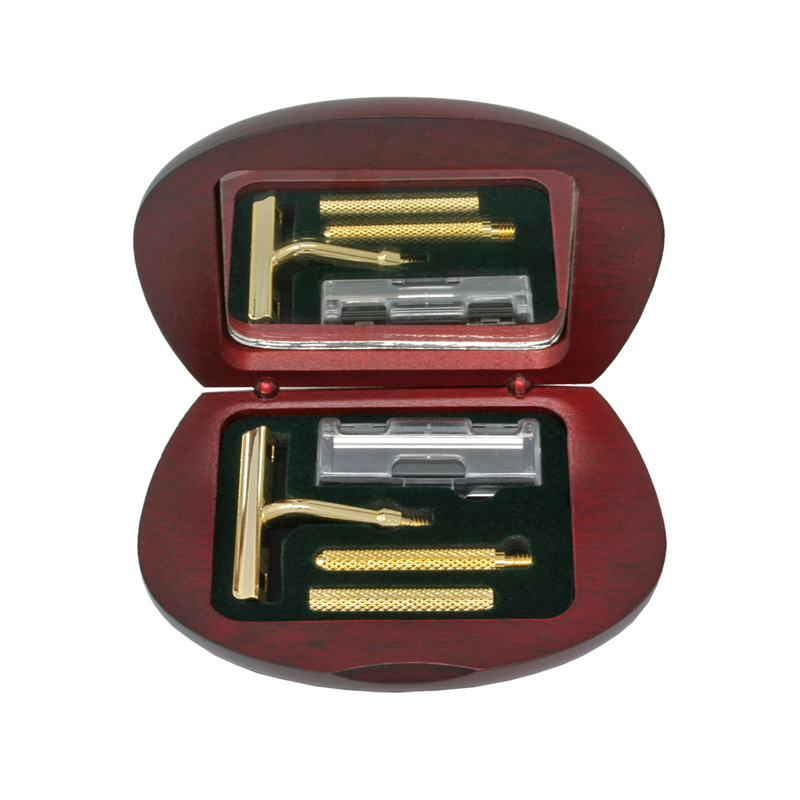 A manicure gift set in a rosewood finish box. 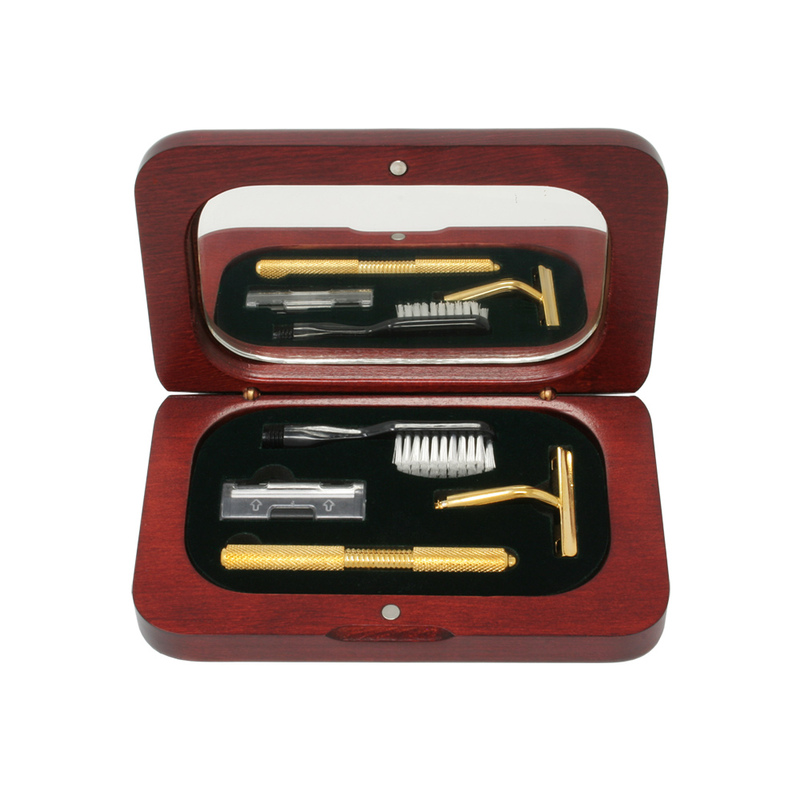 The set features a mirror on the top lid while including tweezers and nail clippers. 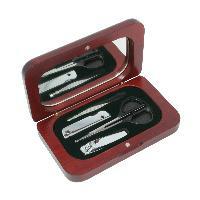 The set is held securely closed with a pair of magnets .